Kiting is a necessary skill as a hunter. We use it to solo, pvp, and raid. In general, kiting means damaging something and keeping its attention while avoiding damage yourself. In general, you want to stick to instant shots or fast cast time shots so you can keep moving. That’s the number one rule of kiting- if you’re not moving away from the target, they’re closing in on you and will be able to do damage. The problem with moving is that if you’re facing the target to do attacks, you can’t move backward as quickly as you can move forward, but if you’re not facing the target, you can’t shoot at them. One technique is to strafe away instead of running away, and simply alter your angle a little when you need to be able to fire a shot. Most (if not all) of our shots have a 180 degree firing angle. So, if you strafe right or left, so long as your target is in an angle covered by your shot field whenever you need to shoot, you can continue to fire instants while running at full speed. The problem here is that you’re never running exactly the same direction as the target. They will gain a little on you. Next up, the jump shot. If you are navigating something tricky enough that you can’t strafe to keep your angle, you can always jump, use your mouse to spin far enough left or right that you can fire your shot, and then mouse-spin back to the direction you were going before you land. I can do it, but I usually end up moving in a slightly different direction than the one I jumped from. Simple laws of physics- the more you zigzag, the more your target will gain on you. You’re crossing a longer distance than it. Concussive shot is an instant daze that lasts for 4 seconds and slows your target by 50%. You can fire it every 12 seconds. Instants are ideal for continuing to move while firing. Frost trap will cause an AOE snare effect that slows everything walking through it. It also triggers lock and load if you’re survival and whatever triggered it is not immune to the slow. Be aware- using this prevents you from using black arrow as they share a cooldown. Wing clip is an instant no cooldown spell that slows the target by 10% if you can hit it with your melee weapon. Disengage is an instant “reverse hunter blink” that sends us flying back.You have to be in combat to use it, and it has a 30 second cooldown. 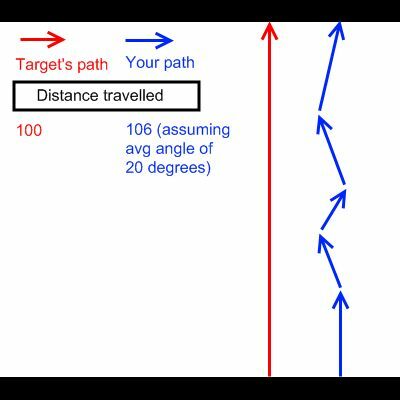 The distance travelled depends on how far you get before hitting ground. Do it while facing down a hill, you’ll go about 2 feet. Do it while facing up a hill, and you might die from falling damage (like I did in a duel on the path up to Ironforge). If you’re on flat ground, it’s between 10 and 30 feet, however you can always increase this by jumping before casting it. Additionally, I have wing clip and raptor strike in a macro with disengage, so if my kite is ever in melee range and I’m not stunlocked or something, they regret it. Remember, you can have as many instant casts as you want in a macro- it’s only the global cooldown causing abilities you can only have one of. Raptor strike is useful because it allows you to not completely waste the time you spend flying about after disengaging. You can use that time to recover from a global cooldown that causes a decent amount of damage. Aside from these, you will want to focus on instant or fast shots. Your autoshot will not fire while you’re moving, but if you let go of the movement button for a fraction of a second, you’ll fire one and you can immediately start moving again. Get used to stuttering your movement when all your instants are on cooldown and you’re a maximum range. I know, there is a big work, but can you make a post learning how to make a good pvp??? My most difficult is to know what i need to do against a specific class, where or how disengage from a meele class???? against a Paly??? What to do when bubbles come on??? Against a DK?? How to run away when he use the fuc*** skill??? How to use Master Call’s ???? What macro or sequence of skills to use in certain conditions. And the most difficult is just the syntaxes to make a good macro. Well I need a “How to” for PVP against meele been a BM with a Nuramoc. Kitting it’s no so hard with the slow attack’s from the Chimera but my biggest problem is to disengage from Wariors, Palys and Dks and how to written good Macros. I would if I could, but believe me, any pvp guide I write would do you more harm than good. Maybe I’ll ask one of my fellow bloggers to guest write something though… I’ll get back to you!